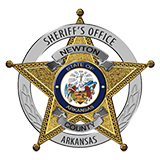 On Thursday June 25, 2015, the Sheriff's Office, Arkansas State Police and Jasper Police Department responded to a domestic disturbance call at the Mockingbird Hotel. Upon arrival Josh Smith, age 29, was arrested for 1 count possession of a controlled substance (class C felony) 1 count possession of controlled substance ( class A misdemeanor), possession of drug paraphernalia ( class C felony). Smith's bond was set at $1500. Sheriff Keith Slape set it as cash only.